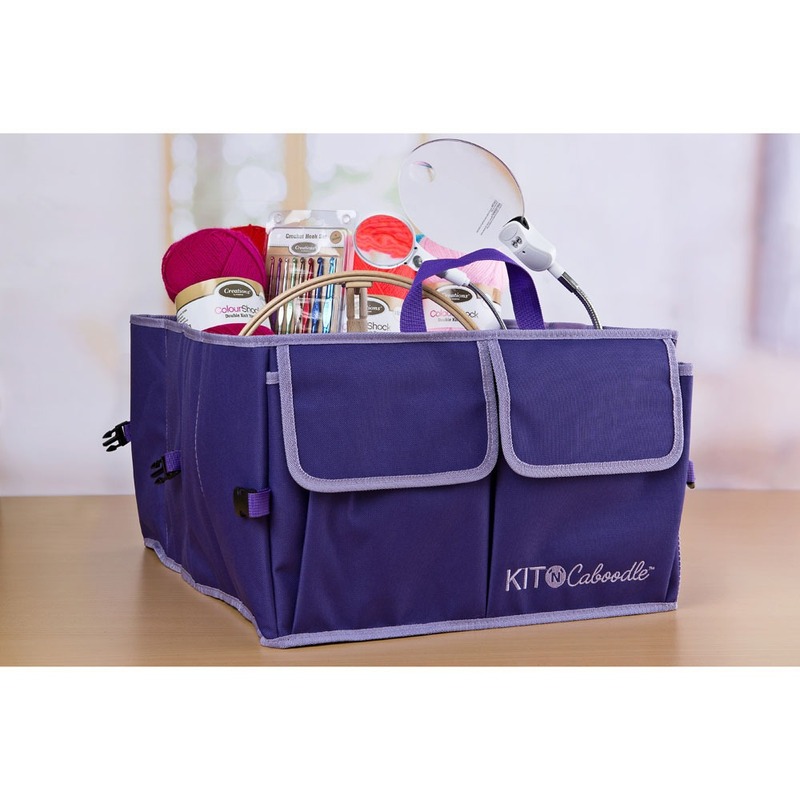 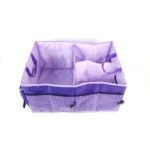 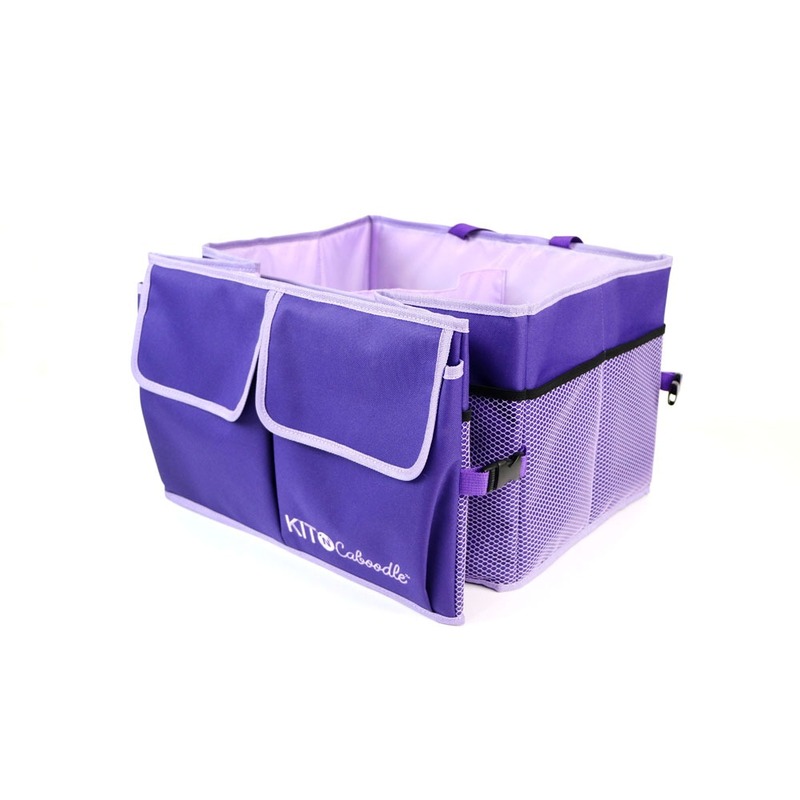 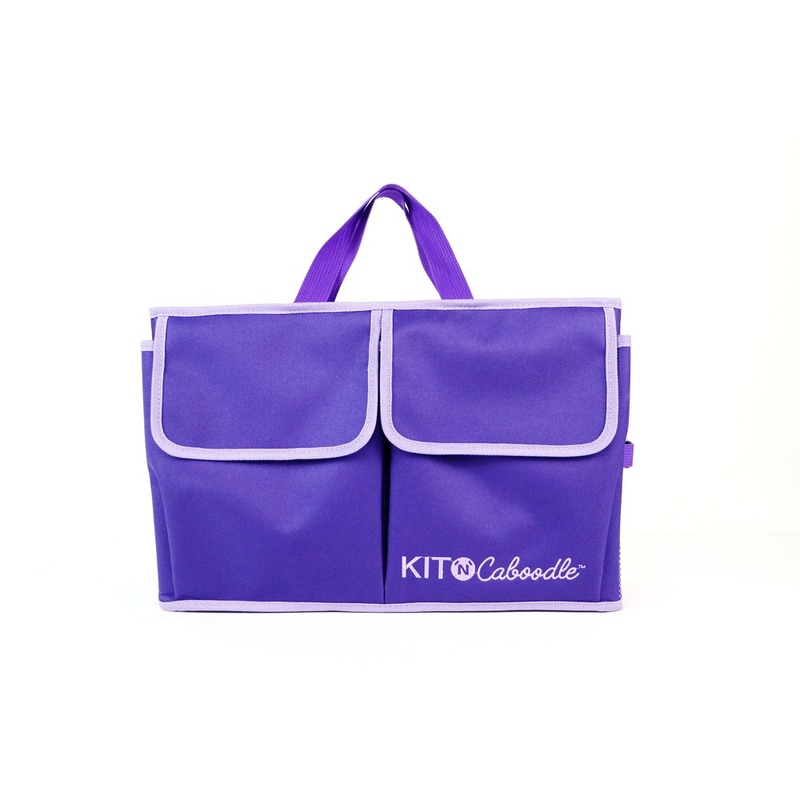 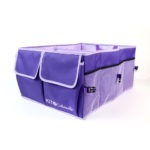 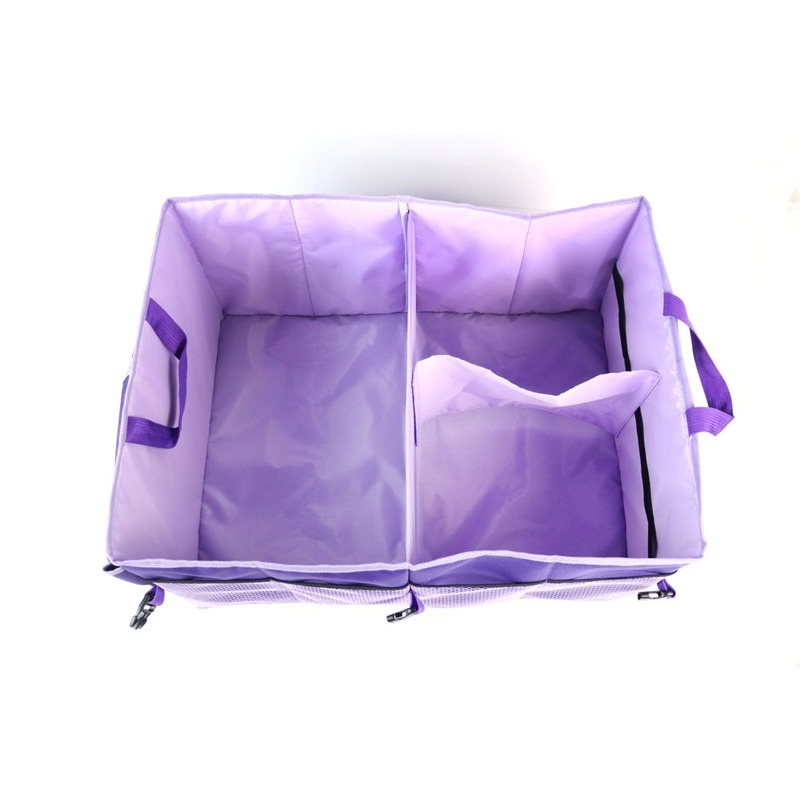 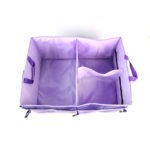 The fantastic Kit ‘N’ Caboodle Luxury Collapsible Craft Tidy is an absolute must-have for any crafter. 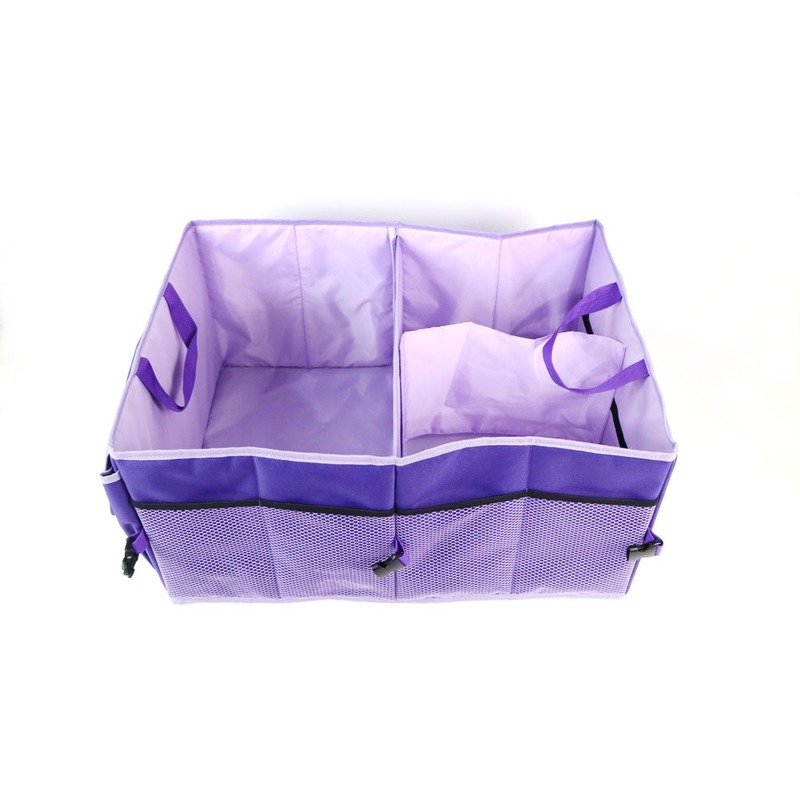 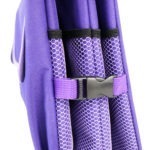 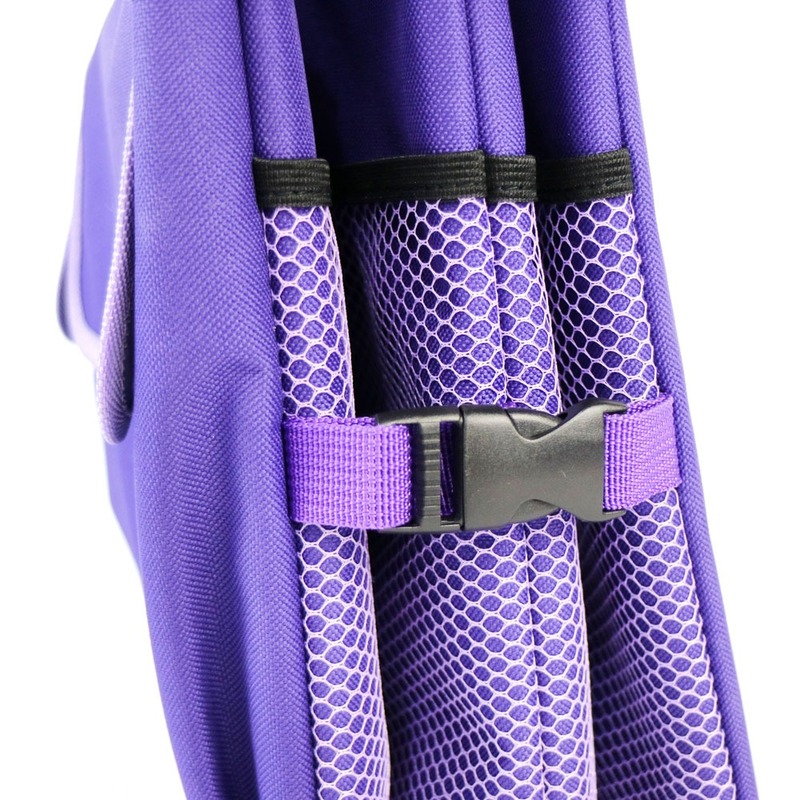 Versatile and easy to use, it features two clips on the sides of the tidy for easy storage, as well as 2 side velcro closing pockets on the front, 2 carry handles for easy transport, 4 external elasticated mesh side pockets, 6 internal elasticated holders, and 2 internal compartments (1 large, and 1 divided into 2 by partitioning fabric with a solid middle section). 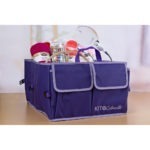 The craft tidy is a massive 22 inches wide, when open to full capacity.